Thanks to donating silt fencing products, little league playing fields could be created out of a larger one. 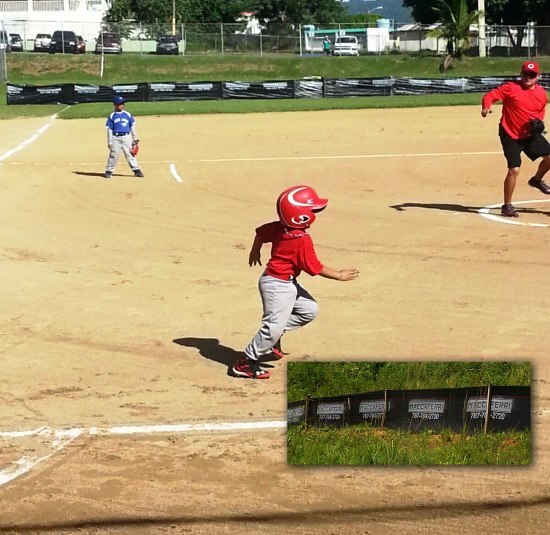 For the second year, Maccaferri Inc. has donated rolls of silt fencing to the Puerto Rico Little League Baseball Association. The PRLLBA used this fencing as a temporary solution to help divide the major league sized field into smaller little league sized playing fields. Silt fencing is often used around the perimeter of a construction site for erosion controls. It is designed to retain sediment in place where the construction process has disturbed the soil. Actually, Maccaferri Inc. provides plenty of solutions to tackle erosion and slope protection issues, which visitors may learn about at this section of our website. The donated fencing was no longer in selling condition and rather than putting it in a landfill, donating it to the association served two purposes: keeping unnecessary waste out of the landfill and enabling the kids to have a more structured event. The fencing was installed at three different baseball parks throughout the island. Maccaferri donated 4 (2’ x 100’) rolls to the association. Any occasion to give help to communities or people is highly taken in consideration by us at Maccaferri, as well as the attention for any potential environmental threats.